This article is part of a series by Dr John Cooper on what is occupational health. It is intended as a resource to be used directly by HR practitioners or to be used by occupational health advisors to help explain their role to HR or line managers. 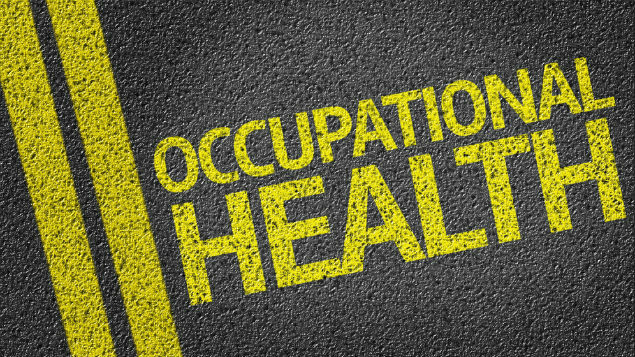 What is occupational health? It is a distinct speciality within the world of medicine, with its own particular aims and objectives as well as its own training and qualifications. Whereas the speciality of cardiology focuses on diseases of the heart and the speciality of neurology focuses on diseases of the brain and nervous system, the speciality of OH focuses on the relationship between work (or occupation) and health. It is thus concerned with both the individual patient and employee, as much as the organisation or employer. And, like all the best relationships, it works both ways. A person’s health can affect their work, either beneficially through higher levels of engagement and performance, or adversely through higher levels of absenteeism and presenteeism. Similarly an employee’s work can affect their health, either adversely leading to occupational illness, or beneficially leading to a virtuous cycle of increased performance and wellbeing. The original roots of OH lie with manufacturing industries. The widely accepted father of the speciality is the Italian Bernadino Ramazzini whose medical practice included many patients working in mines. In 1700 he wrote his book De Morbis Artificum Diatriba (Diseases of Workers) describing the various illnesses of his patients who worked exposed to harmful chemicals, dusts, metals and other hazardous substances. He encouraged all physicians to enquire of their sick patients “and what is your work?”, which slowly but surely led to the development of the speciality of occupational medicine. Originally, therefore, OH focused on the diagnosis and subsequent prevention of diseases caused by work. A combination of improved diagnosis of occupational disease, lower exposures to harmful substances and elimination of the most toxic chemicals has led to a reduction in their incidence, although cases still occur of classic occupational diseases such as asbestosis, lead poisoning, occupational asthma and noise-induced hearing loss, to name just a few. A reduction in manufacturing industries as well as shorter working careers has further reduced the incidence of occupational disease. This has been offset to some extent by a shift towards ill-health which is caused by a mixture of occupational and non-occupational factors, such as stress-related illness and musculoskeletal disorders. More recently, OH has also taken on the role of assessing an employee’s fitness to undertake a specific job. This is particularly the case when the job might carry extra responsibilities towards members of the public, such as airline pilots or bus drivers. But it may also apply for jobs with specific requirements (such as surgeons or firemen) or to employees travelling overseas on company business. While a company is not responsible for the general health of its employees, it does have a moral as well as legal responsibility for the occupational health of its employees. In practice this means ensuring that they are not made ill by their work, and that they are as far as can be ascertained medically fit for their job. This is supported by the concept of the “duty of care” in the employment relationship. 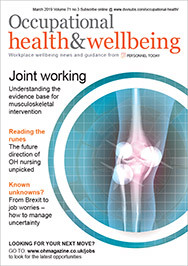 This article may be particularly useful for HR managers who are relatively new to working with occupational health, and who might be working with SMEs with access to a contracted OH provider. The idea of “fitness for work” has further developed into what may at times seem like sickness absence management, ie the assessment of an employee who is off sick in order to ensure that they are getting the medical support they require, as well as to advise on their likely return to work and, if so, in what manner. Some companies will also want their OH departments to take responsibility for emergency care on site, with the provision and training of first aiders and appropriate equipment, as well as major disaster planning. And in recent years the business benefits of healthier workforces has led to many OH units providing health promotion services. With lower staffing levels, as well as an ageing population in the workplace more liable to have age-related health problems, this OH has a growing opportunity to help benefit both employee and employer alike because due to the benefits of looking after the core group of remaining employees. The best OH doctors and nurses therefore are those who have a good knowledge of the workplace and its hazards, as well as a good knowledge of the worker and his/her state of health, and can fulfil the requirements of both. The OH practitioner is neither on the side of the employer, nor on the side of the employee, but an independent objective specialist assessing and advising on what appears best for both employee and employer in relation to a person’s health and their work. OH is a sort of “medical bridge” between the employer and its business needs, and the employee and their state of health. Dr John Cooper is an occupational health consultant at Work for Health.